1. Top priority when buying a DVD movie is to look for Anamorphic pressings. 2. A hidden flaw of vintage movies and Bluray; the HD squeeze. See Page Four of my Guide. 3. All pressings, even a Criterion release need scrutinized as to which is the best pressing. 4: If a 4:3 movie, DVD has the advantage over BluRay as described below. I had seen another 4:3 classic movie, Warner Brothers (older special edition with book) Bluray version of Citizen Kane which has black bars on the left and right side even on my 4:3 HD CRT! This was done to display the 4:3 movie image at the correct aspect ratio on wide screen TVs. The Criterion DVD and BluRay use the same 4k transfer, and I own the DVD versions of Chaplin's Modern Times, City Lights and Gold Rush that do not have that 4:3 squeeze issue. However, Modern Times is a combo Bluray DVD Criterion package; the Bluray version is squeezed 4:3 with black bars on the left and right! I also see the same squeeze black bar effect now on some HD broadcast channels for 4:3 television programs on some stations! The DVD utilizes ALL the screen estate for the vintage 4:3 movie on my 4:3 HD CRT TV, yet the BluRay has black borders on the side. This also happens on my SD 4:3 TV! Something about the Bluray disc coded for 1080p wide screen standard for all movies including 4:3 movies and even with the player is set to 480i for the SD TV. There should have been a reverse anamorphic instead; this to maximize the video resolution instead of wasted recorded data on the black bars cutting back the total pixels of broadcast or pressed on a disc. A step back in video quality that the 4:3 imagery has been squeezed back to the 1:1 ratio of the first televisions and early NASA archival film! 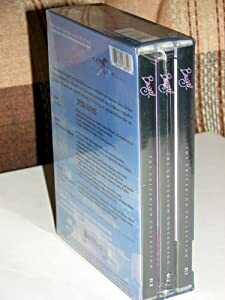 The DVD is the best choice over Bluray for older 4:3 movies to prevent Pillar Boxing and preserving the 4:3 imagery when viewed on 4:3 SD and 4:3 HD TVs. I normally avoid buying movies at Barnes and Noble due to their high prices. Found out they have a 50% off sale twice a year! Browsing thru not only the Criterion and Art House selections, it appears the book store focuses on many films and documentaries that are must own collectables. This is sweet especially considering that Criterion discs are expensive and usually a limited selection at most other local stores. Due to normally high prices at Barnes Noble, a huge selection to dive thru. For example, Hidden Fortress Kurosawa BluRay DVD bundle was $39.99, now at $19.49! Both DVD and BluRay contain all the extras. Even in the dual format package, ALL the extras are on BOTH discs! I went a little nuts the last few days and bought some great movies. Every movie pictured at the bottom of this OP (few are older covers previously purchased) are half price at Barnes Noble until July 28th 2014. Take a look thru their site; some truly great treasures of movies to discover. I have been a Criterion nut since first discovering the video distribution company on Laser Disc; own movies such as 2001 Space Odyssey, Blade Runner, La Strada, High Noon, Taxi Driver and others. Criterion really goes over the top in both restoration and extras. Some of the Criterion Laser Discs have not been updated to DVD or BluRay due to copyrights and licensing from studios. The Criterion Collection is dedicated to gathering the greatest films from around the world and publishing them in editions of the highest technical quality, with supplemental features that enhance the appreciation of the art of film. This statement is so true, there are so many great titles in the catalog. All the DVD/BluRay movies listed below I have previously seen on TV or as a public library loan or own older versions on Laser Disc. I also posted a couple of non Criterion DVD collections noteworthy for extras and also are very well done movies. A great link to bookmark, there are multiple search options by year, genre, rating and release date. This list contains only the official DVD and BluRay Criterion releases. It is organized by spine number and is best viewed in List View. Collections containing multiple films (whether feature length or shorts) under a single spine number have been separated out and noted as such, hence in the disparity in spine number versus actual list count. Two movies I hope will eventually get the Criterion treatment are Full Metal Jacket and Miracle Mile. Both outstanding contemporary flicks; the first well known and the second a low budget obscure late 80s film. Some titles are repressed after new sources and methods of restoration are discovered. 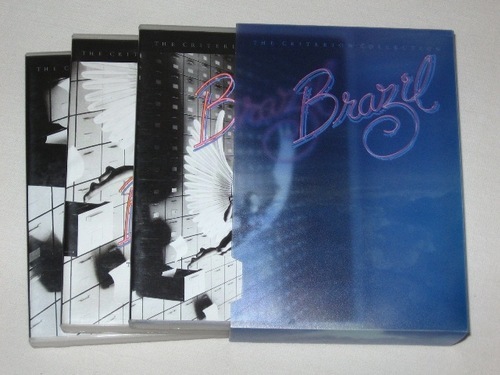 For example the huge box set Brazil initial release was non anmorphic versus the update which is anamorphic. Criterion also implemented for some pressings Picture Boxing to make up for overscan of non HD and HD CRTs. One important note is Criterion's further use of "picture-boxing", a process which leaves a small black border on all sides of the image to compensate for TV overscan; while this actually benefits many viewers, it will slightly annoy those with properly calibrated setups. That black border is a small nuisance on newer HDTVs which have virtually no overscan. Luckily these discs are perfect for my HDCRT, the black border frame is very tiny. Thankfully Criterion removed the Picture Box encoding and it was only done for a few years on only certain titles. Even the picture box discs (of which there are not that many) are the finest cleanest cuts and well worth looking into. A great study of human character. There is a Russian remake simply titled 12 that is also well done. Okay it is not a Criterion release, but lots of good stuff in the extras. Fantastic movie that embraces living life to the fullest. This threw me off as a Criterion publishing which normally releases "arthouse" films. Still, its a great ride of an action flick. I purchased the older 3 disc pressing which unfortunately is non anamorphic. Really a bizarre movie, look for a cameo by Robert De Niro. I have been on the fence on purchasing the single disc anamorphic recut to update the big box, finally took the plunge. 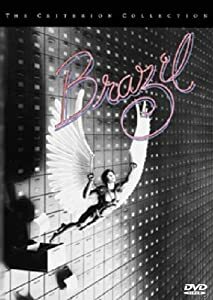 Avoid buying the big box Brazil movie online unless you can actually confirm the release date. The 1985 movie older Criterion release is dated 1999, the anamorphic newer release is dated 2006. 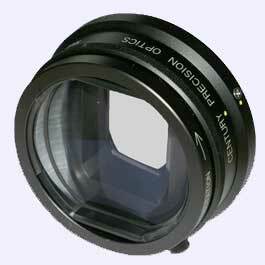 Anamorphic filming uses a special lens in the camera to squeeze the image and utilize all of the film surface. The movie is then played back with a widescreen lens. More video information is in the original film, resulting in a sharper higher resolution picture. Whenever possible, buy your DVD movie in the Anamorphic version. The Anamorphic movie uses all the screen's real estate. Even on a 4:3 HD or regular TV the Anamorphic widescreen image squeezes and fills up the entire screen. Just set your DVD Player to Widescreen mode, and enjoy the highest resolution of the DVD movie. Note that no zoom is used for the best resolution. Fortunately, the single rerelease is easier to spot the differences. Older Criterion DVD case covers have a strip at the top front stating "The Criterion Collection". The front of the newer case cover has just a C (Criterion) logo. 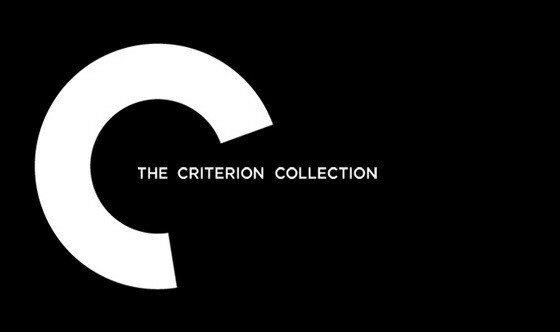 "The Criterion Collection" logo is moved to the end spine. 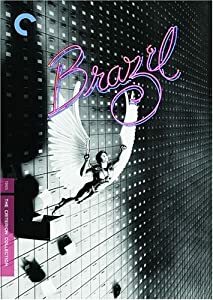 Note that the big box Brazil anamorphic rerelease USES THE OLDER PACKAGING, the date printed on the back has to show 2006. The disc inside should have the C logo. The older Brazil discs have logos based on the movie. 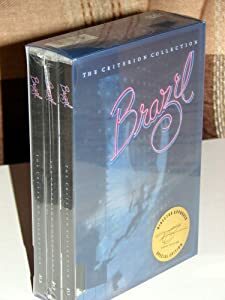 The newer Brazil anamorphic cut has a large C (Criterion) logo stamped on the disc. Many newer Criterion discs have the C logo right on the disc. The concept of living the life of another person almost parallels today's online alter ego offerings. Malkovich plays himself as an actor whose body is taken over by others "logging" on thru the portal. A look at Stephen Hawking. Mainly focuses on his life along with a look at some of his theories. I have wondered if his disability as horrible as it was; without use of his limbs focused his mind to genius? This movie is hard to describe, the imagery is hauntingly beautiful. 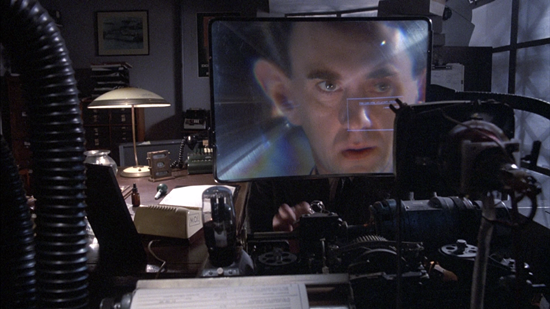 "The City Of Lost Children" is a film that is most likely different from anything you have seen before. Visually, it is a daring excursion into an unreal world with unreal colors that is highly reminiscent of Jules Verne’s descriptions of his fantastic worlds. Hence it is hardly surprising to find many other hints at Jules Verne throughout the film in the form of bulky gadgets that either seem way ahead of their time, or too sophisticated for their mechanical simplicity. A rather unique film that vastly differs from anything produced in Hollywood. Featuring some incredible characters and utterly impressive visuals, this film is a dazzling experience of foreign filmmaking that will leave you baffled. How many have dreamed of when they turn 70 to have the appearance of a twenty year old? Interesting movie showing the life experiences of a man who ages in reverse. One of my favorite documentaries on Laser Disc. This compiles the Apollo Missions together into one beautiful voyage of a film. Forget the grainy footage from broadcast, get a true crystal clear imagery sense of what happened in the landing of the moon. My favorite Chaplin flick is The Kid, this would be the close second. Have an older Japanese exclusive Laser Disc copy, looking forward to the enhancements Criterion DVD has to offer. 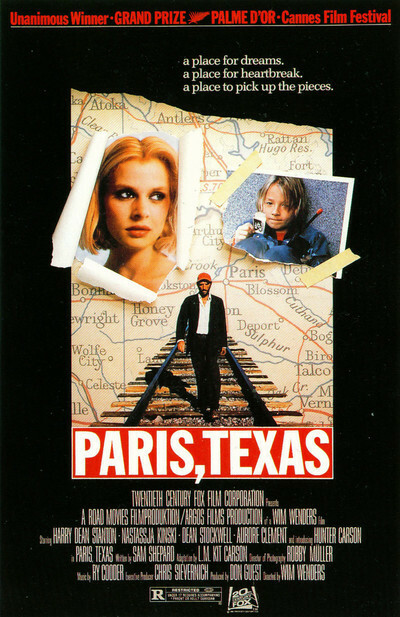 Jean-Pierre Jeunet's first film along with actor Dominique Pinon from Amelie. They have collaborated in every movie together. The director's use of metaphors adds a different perspective in the story telling. "1 day shoot for just a 30 second sequence". Instead of computer animation this movie was filmed the old "Harryhausen" stop motion method, snapping one frame at a time. A lost form of film making that thankfully has returned in certain productions such as Nightmare Before Christmas and Nick Park's Aardman Animations. 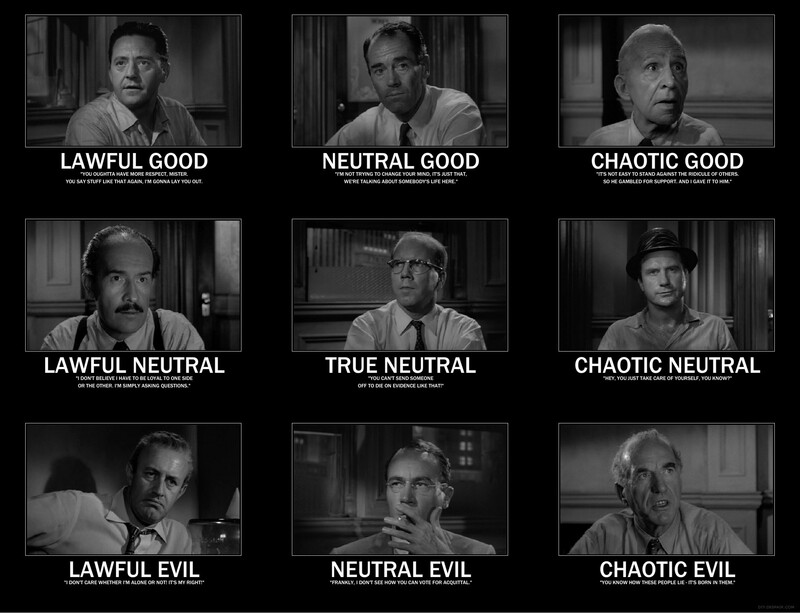 The Criterion disc is a huge treasure trove with all extras included on both the DVDs and on the BluRay. How the smoke and water were created is amazing, offering a neat animated effect. Fantastic Mr. Fox gets better every time I see it. It is one of my favorite of the past 5 years. I'm so glad that Criterion produced this edition with upgraded supplements - including the Anderson commentary. This is worth every penny and it will be a disc that gets plenty of replay. 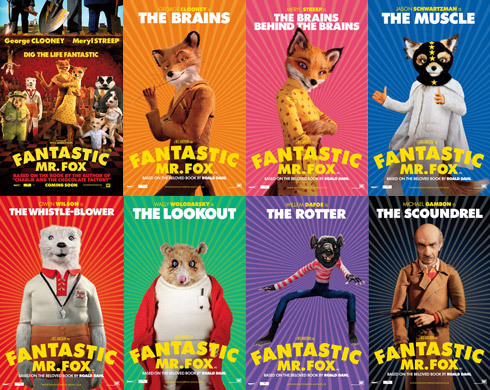 I'm, honestly, a little obsessed with Fantastic Mr. Fox. I've watched it much more than my children. I love the snappy dialogue, wonderful music and entire concept. If there is one Akira Kurosawa movie to watch, make it this one. I have bought this movie on Laser Disc, the older Criterion and now the newest dual format DVD/BluRay. The music of the Fire Dance, the epic story and the beautiful cinematography really shine. Necessary mention of George Lucas inspired by this movie to include some of the ideas (and characters) in Star Wars. I own the obscure Giorgio Moroder color tinted Laser Disc that includes Pat Benatar and other 80s rock soundtrack. Many film buffs hate it as ruining a great masterpiece art, but it is a unique different interpretation of the film. This is a film that visualizes the distant future from a 1920's perspective. I have been wanting to see the lost footage which now can be seen in all its crisp glory with the 1927 soundtrack in 5.1 stereo. In 2008, a nearly complete copy of Metropolis was found in the form of a 16mm duplicate negative at the Buenos Aires Museo del Cine. It contained around 25 minutes of lost footage, comprising a fifth of the film’s original running time. The Murnau Foundation launched another restoration, whose aims were twofold: “The reconstruction of the original cut and the digital restoration of the heavily damaged images from the Argentinian source,” says Murnau’s film restorer Anke Wilkening. 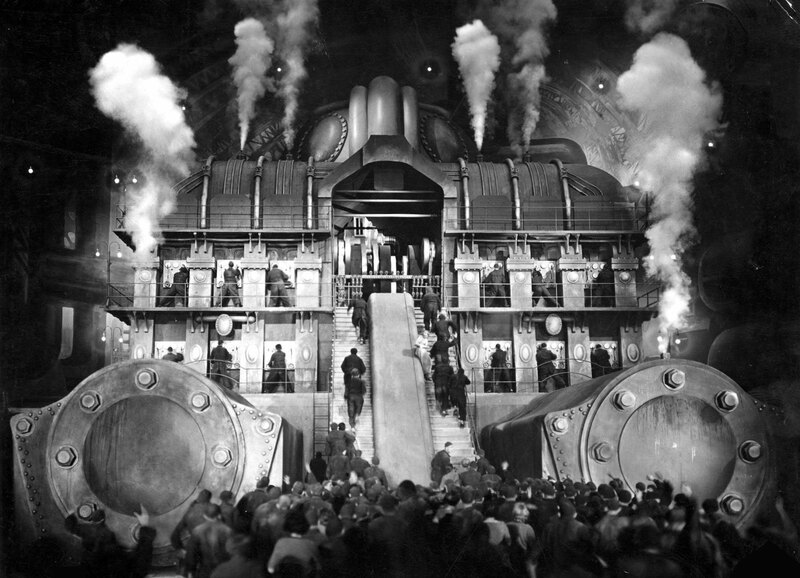 Metropolis really was a genuine game-changer, one whose effects are still being felt. Watching it is like experiencing the past 80 years of motion picture history compressed into 153 minutes. There are a few other video distributors that go all the way out. Kino Video is a superb source for Silent Films. They are up there with Criterion in presenting the best restoration and extra footage in movies. Film has not only served to display architecture but it has, in some ways, given an insight on how buildings might look like in the future or, better yet, on how Alien architecture might differ from ours if we were ever to encounter intelligent life outside of our planet. Films like “Alien”, “Blade Runner”, “2001: Space Odyssey” or the Star Wars saga come to mind as shining examples of cinema exploring the architecture of the future, which in the majority of cases, offers a purely aesthetic experience that is very loosely grounded, if at all, on what is technologically possible. In terms of the view it offered of city life and architecture, few films have offered more to both art forms as Fritz Lang’s 1927 highly influential masterpiece: “Metropolis”. Get this movie somehow somewhere. The Ry Cooder track is haunting, the story mesmerizing, Harry Dean Stanton is at his best. I have seen this movie a few times before, looking forward to the crisp audio and video as well as all the extras this Criterion disc has in store. Do you get a feeling I love Kurosawa movies? This is a great movie presenting different perspectives of a story. Harry Dean Stanton is in this movie too. Another 80s flick so cool. This box set has a huge amount of extras, very nice "punk rock" art book included. Often overlooked due to the more known Kurosawa's movie Yojimbo. However, if you like Yojimbo, this is a must see, both can also can be purchased as a Criterion box set. Been a while since I have seen the Laser Disc checked out from the Library. Too expensive to purchase back then, finally picked up the best version. This movie is a huge long epic, have a few hours set aside for sinking into another time and place. Even though spine #2, Seven Samurai may very well have been Criterion's very first DVD release (spine #1, Renoirs La Grande Illusion, was delayed). It was way back in August 1998. It had the 3.5 hour film (including intermission) and Michael Jeck commentary crammed into one disc. It showed flickering contrast, deterioration marks and obvious edge enhancement from the crude digital manipulation attempts to visually rectify them. Over the years other editions have surfaced with improvements in removing some of the wear-and-tear shown on the original Criterion, but barring a restoration, the transfers always showed some weaknesses. The latest, CineKorea, appears to have been taken from a French or Toho edition with yellow English and Korean subtitles added. Frankly, it was still the best option for English-locked audiences.... up until now of course. Rumored for a while, in 2006 Criterion officially announced that they would REISSUE one of their most popular digital versatile discs with improvements in the re-mastering process. Knowing Criterion's commitment and their diligent work ethic we expected a reparatory improvement, but what they produced has far outweighed any expectations fans could have hoped for. Criterion has spread the film over two discs with 2 optional commentaries. They have added a third disc containing further feature documentaries and included in the package a beautiful 56-page booklet with essays and related literature. It is yet another potential DVD of the Year candidate from Criterion who continue to soar heads and tails above any other DVD production house anywhere in the world. If behind them are MK2 or Warner - either would be a distant second. Conclusion - In my opinion the Criterion REISSUE package is essential for all fans of film. It is at once; educational, reaffirming, enlightening and painstakingly compiled. Unanimously hailed as one of the greatest masterpieces in the history of the motion picture the film has never looked better, excluding initial theatrical runs. Criterion's professionalism is an inspiration of achievement. No DVD collection is complete without it. 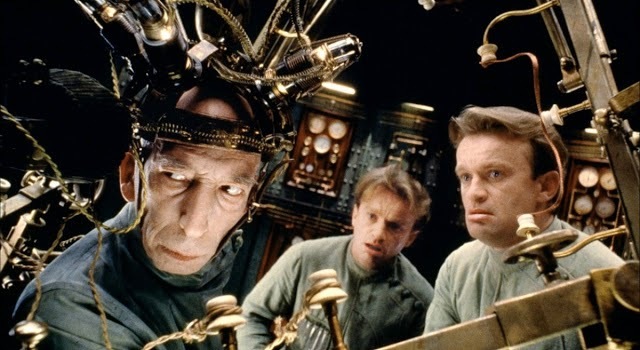 I watched this years ago on Laser Disc, remember a chess game of life between the great Max von Sydow and Death. This is reputed as Ingmar Bergman's greatest film. Still need to pick up another of Sydow's movies, Pelle the Conqueror. Has anyone not seen this great suspense movie? An older non anamorphic Criterion surpassed by the latest MGM Collectors release. The Criterion version has an exclusive commentary track of Jodie Foster and Anthony Hopkins. Also a few other extras surprises even on this older Criterion disc. Get the Criterion DVD for the commentary and the newest MGM release for the anamorphic pressing. Including this DVD, I own the first five of Jean-Pierre Jeunet's movies, Delicatessen (1991), The City of Lost Children (1995), Alien Resurrection (1997) and Amélie (2001). Each film takes you into a different unusual world, even this movie with its more historic setting, the cinematography will blow you away. 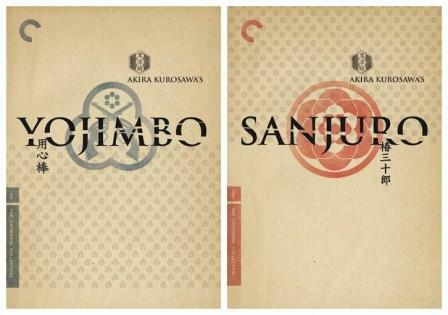 Another repress by Criterion which also can be purchased as a double pack with Sanjuro. Toshiro Mifune is perfect as the lone wandering Samurai. As in the Hidden Fortress, a great movie which also inspired another famous director; look for an almost duplicate story of the later released Sergio Leonne movie Fistful Of Dollars. ON THE ORIGINAL DVD: I guess you never know what you will get from Toho Studios in terms of a print. Obviously Criterion opted for the domestic print master of the original American art house release. Many consider this one of Criterion's worst DVDs. Non-anamorphic, cropped on all sides and the image quality is quite poor. Often hazy with poor contrast this DVD package has no digital extras save a trailer. ADDITION: Criterion - REISSUE DVD - January 07: The initial release represented Criterion's worst ever DVD transfer, and it had a vast expanse to improve - which it, thankfully, has. The REISSUE is sharper, cleaner and, although there is some movement in the frame, it does show more information. Although anamorphic, progressive and obviously from a different source (the Japanese title, as opposed to western, is used) it does show some artifacts. The black levels have been boosted, perhaps, a shade more than my own personal taste. Overall, fans of the film will be quite pleased with the REISSUE in regards to image. 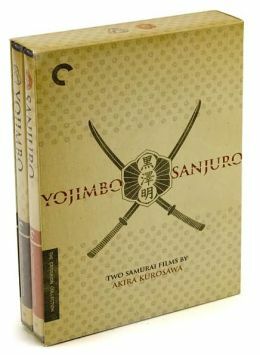 There is also a 45-minute documentary on the making of Yojimbo, created as part of the Toho Masterworks series Akira Kurosawa: It Is Wonderful to Create and some extensive liner notes featuring an essay by critic Alexander Sesonske and notes from Kurosawa and his cast and crew. "So many movies, now to select the best pressing!" Dang, how long did it take you to type thread? It looks nice. Ahhhh so much sick stuff in godlike presentation I can't afford right now! Videodrome, Hausu, Repo Man, Gimme Shelter, The Game, Dazed and Confused, Fear and Loathing in Las Vegas, on and on. If you like collecting movies, get on this. I wish Criterion would reprint Dead Ringers on Bluray. Gee, I dunno. My "If you only get one" mantra for Kurosawa is Yojimbo. It is one of the most accessible and entertaining of his films. It doesn't get too bogged down like many of his others. 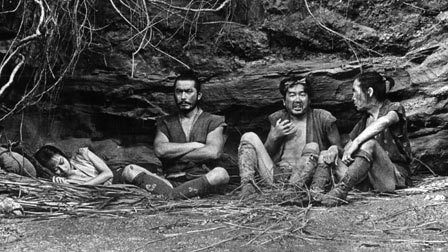 For those who are a little stronger in the patience department, I advise Seven Samurai. Throne of Blood is certainly good, but I think, like many of Kurosawa's films, it isn't always an easy entry point. You don't have to be a film student or devotee to appreciate Yojimbo fully, and Seven Samurai is also pretty digestible, all things considered. Ran and Dreams are both right out for novices. I would do it, but $20 each. It makes choosing impossible. I always wished there were Criterion-like editions for "Classic" beloved games. I majored in cinema as an undergrad and am pretty into films as art, so I have a (IMO) hefty Criterion Collection collection encompassing about 60 DVDs & Blu-Ray discs along with about 10 laserdiscs. From this sale I'll likely pick up King of Kings - I've never seen a Cecil B. DeMille film before and want to boost my silent film collection. Of course there are *tons* of other titles I'd like, The Devil's Backbone, Rashomon, Ikiru, Phantom Carriage, Safety Last!, The Gold Rush, The Great Dictator, Repo Man, Scanners, Eraserhead, Written on the Wind, Magnificent Obsession, Robinson Crusoe on Mars, Crumb, Nanook of the North, The Man Who Knew Too Much, Fat Girl, Fish Tank, Wild Strawberries, The Testament of Dr. Mabuse... THAT'S JUST OFF THE TOP OF MY HEAD! If I had infinite money and infinite storage space, I wouldn't mind everything they put out. These are some of my favorite films, and I will vouch for all of them. If I wasn't spending all of my extra money on video games, I would be all over this sale. I already spent on the Kurosawa criterion DVDs awhile ago, now this sale makes me wanna CRY TEAR EONS...eh? eh? Interesting you seem to key in on Hidden Fortress as the 'must see' of his distinguished library. Most people will fall on the side of either Seven Samurai or Ikiru as his masterpieces. My favorite is actually Yojimbo though. Love all of them anyways, it's like choosing a different cut of streak from a 5 star steakhouse, no matter what you pick- you will be satisfied. That cover for Rashomon is different than my Criterion cover... was that a later printing or an earlier one? cha cha wrote: That cover for Rashomon is different than my Criterion cover... was that a later printing or an earlier one? That's probably the newest one as it's the same one I have. I think the Bluray version came out last year? Can't remember, but I remember seeing ads for it. cha cha wrote: Interesting you seem to key in on Hidden Fortress as the 'must see' of his distinguished library. Most people will fall on the side of either Seven Samurai or Ikiru as his masterpieces. My favorite is actually Yojimbo though. Love all of them anyways, it's like choosing a different cut of streak from a 5 star steakhouse, no matter what you pick- you will be satisfied. That cover for Rashomon is different than my Criterion cover... was that a later printing or an earlier one? It is the latest reissue. Some of the earlier Criterion discs were non anamorphic. The first press of Yojimbo is rated as the worst Criterion disc put out. They fixed that on the later edition and then blew it on a few discs by incorporating picture boxing to fix the image on over scan CRTs. However, I'll take the anamorphic picture box versions such as For All Mankind and Seven Samurai due to the cleaned up footage and of course Anamorphic. Take a look at that DVD Beaver site linked in the OP. They are very thorough in presenting different releases of a movie. Most of the movies listed are very good ones to collect too! Two of my other favorite Kurosawa movies are Yojimbo the way Mifune stands aside laughing as the cowardly Klans square off and Sanjuro the cut all the flowers scene. Oh and the ending, wow! I still stand by Hidden Fortress as the best, it really has a great story and shows the honor of another era. No idea why it is not as well known amongst Kurosawa fans. Agree though, any Kurosawa movie save the last color movies (gaaah Ran was hard to slug thru) are a feast to get away for a few hours. Pictures in the Spoiler are for the OP.